My professional haze machine is available at no extra charge for any event. It works in a similar way to a smoke machine but produces a much finer, less intrusive haze rather than thick smoke. 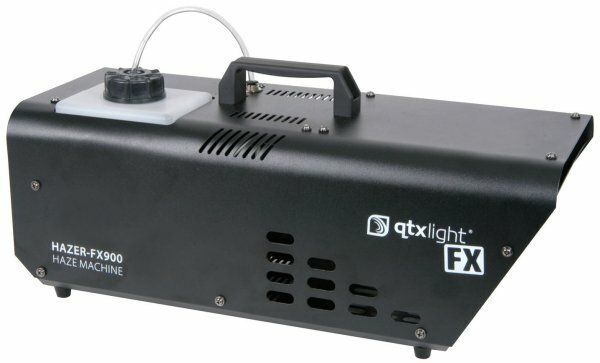 At many discos I will use a small amount of haze around the lighting on the stage to enhance the effect produced. However, if you want a greater effect over more of the room, the prior permission of the venue manager is required as these machines can trigger more sensitive fire alarm systems. Most venues do not allow the use of a smoke machine as it will almost certainly trigger alarms, but a haze machine can often be used with care without triggering alarms - however trying to convince management of this can sometimes be more of an ordeal than it is worth! The use of the haze machine needs to be in agreement with venue management, as some venues do not permit the use of these machines at all.